Baal Shem (Hebrew plural: Baalei Shem) in Hebrew meaning “Master of the Name”, refers to the historical Jewish role of select rabbis with knowledge of using Names of God in Judaism for Practical Kabbalah healing and blessing. The unofficial title was given by others who recognise or benefit from the Baal Shem’s ability to perform wonderous deeds, and emerged in the Middle Ages, continuing until the early-Modern era. Baal Shem were seen as miracle workers who could bring about cures and healing, as well having mystical powers to foresee or interpret events and personalities. They were considered to have a “direct line” to Heaven evoking God’s mercies and compassion on suffering human beings. In Jewish mysticism, the Practical Kabbalah theurgic role of Baal Shem among the common folk was one mystical institution, contrasted with the theosophic and ecstatic roles of elite Kabbalistic study circles, who were more isolated from the populance. The communal Maggid preacher had an intermediate-level role between the Rabbinic legal and mystical elite and the common folk. A few people received the title of Baal Shem among Eastern and Central European Ashkenazi Jewry. The name is most well known in reference to the founder of Hasidic Judaism, the Baal Shem Tov (“Master of the Good Name”)-Israel ben Eliezer (1698–1760) in the Ukraine. However, this connotation is misleading. The Baal Shem Tov started public life as a traditional Baal Shem practical mystic, but with his founding of Hasidism, introduced a different, new way into mystical thought and practice. His role is popularly distinguished from the role of other, predominantly earlier, Baal Shem by the addition of Tov-Good to the title. Hasidism popularised formerly esoteric Kabbalah into a social mysticism movement. The new mystical role of the Hasidic Rebbe leader replaced the Baal Shem institution in Hasidism, combining Kabbalistic study with Maggid communal teaching, and displacing Practical Kabbalistic theurgic methods with a new doctrine of the righteous Tzadik as Divine channel of blessing. The activity of Baal Shem among the community as well as the influence of Kabbalistic ideas, contributed to the popular belief in Tzadikim Nistarim (Concealed Righteous). Hasidic tradition records Eliyahu Baal Shem in the 16th century, founding a “Nistarim” mystical brotherhood to offer physical and spiritual encouragement to the Jewish populance, from which Hasidism later emerged. The “Name” referred to in “Master of the Name” is the most holy Four-Letter Name of God or Tetragrammaton. In Jewish tradition, this Name was pronounced only by the High Priest on Yom Kippur. 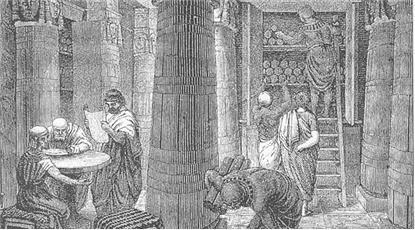 With the destruction of the Second Temple by the Romans in the year 70 C.E., the true pronunciation was presumably lost. (Jews today do not pronounce the Name out loud, and substitute another Hebrew word, usually Adonai, in prayers and texts.) In some accounts, a Baal Shem was believed to have re-discovered the true pronunciation, perhaps during deep meditation, and could use it in magical ways to work miracles. Some stories say he pronounced it out loud, others say he visualized the Name in his mind. He also used the names of angels in this way. Amulets are on the border between Practical Kabbalah and an external manifestation of Kabbalah, such as name calculation. There is a source for amulets in the Torah. When a great sage writes Holy Names, without pronouncing them, on parchment and puts it into a container which is worn by the recipient, it can possess healing and spiritual powers. At the beginning of the Baal Shem Tov’s life, since he was a healer, he used amulets. Sometimes the amulet works because of the faith of the recipient in the spiritual power of the amulet. At the end of his life, the Baal Shem Tov never wrote the Names of God, only his own signature, Yisrael ben Sara or Yisrael ben Eliezer. This was the ultimate amulet given by the Ba’al Shem Tov. The Sages teach us that whoever receives a coin from the hands of Job (a tzadik) receives a blessing. This is the source in the Talmud that receiving a coin from a great tzaddik brings with it a blessing. Thus we see that there are amulets that are permissible. The determining factor is the righteousness and intentions of the person giving the amulet. Not many people with this title have been recorded (outside of the Baal Shem Tov, the Baal Shem of Michelstadt was one example) and none have it today. The first recorded person to receive the title was Eliyahu of Chelm. Other Baalei Shem include Rabbi Eliyahu of Worms (the founder of the movement variously known as “Macheneh Yisrael”, the “Nistarim”, and the “Holy Brotherhood”), Rabbi Joel of Ropshitz (a student of Rabbi Yoel Sirkis), Rabbi Adam Baal Shem, and Hayyim Samuel Jacob Falk (known as the Baal Shem of London). The name “Baal Shem” mainly survives in Jewish surnames of people descending from Ba’ale Shem such as Balshem, Balshemnik and Bolshemennikov. In recent years, some new age Jewish groups have revived the term as referring to the Jewish equivalent of a shaman or folk healer. ReferencesKohler, Kaufmann; Ginzberg, Louis. “BA’AL SHEM”. JewishEncyclopedia.com. Retrieved September 22, 11. Some Notes on the Social Background of Early Hasidism and A Circle of Pneumatics in Pre-Hasidism, in Studies in East European Jewish Mysticism and Hasidism, Joseph Weiss, Littman Library pub. 611. AViUT, Dated 1359. Balliol College, Oxford. belonging to Thippe, Jewess of Southwark. 512. Hebrew Suetaroth — Facsimiles. Lucien Wolf. been added later, and bear the Queen Anne mark. 617. Haxuca Lamp. Br. A. Asher, M.D. the Jews to England on their return — Jacob Sasporttis. 618. Masonic Arms. W. H. Rylands. visited London in 1678 with a model of the Temple. some of which were afterwards jmLlished Ly Surenhxisius. Jehuda Leon.” In the original the motto was in Hebrew.